1. The treatment will begin with you either resting in a reclined chair or lying comfortably on a table in a procedure room. 2. 1-2 drops of a mild anesthetic will be placed in the eye(s) to be treated. 3. Corneal specialist Dr. James Lewis will gently fit the LipiFlow disposable with the lid warmer under your eye lids and the eye cup outside your eye lids. You will be asked to close your eyes around the eyepiece. 4. The LipiFlow device will be activated. You will begin to feel both gentle pressure and warmth on your eyelid. 5. The disposable will become gradually warmer on your eyelids. Once the temperature reaches a therapeutic range, the device will maintain this temperature for 2 minutes at a constant pressure. This is when the glands are being brought to the appropriate temperature to begin melting the blockages within the glands. At the end of the 2 minutes, the pressure will be released briefly. 6. Next, the temperature will be maintained but the pressure will go through different modes, including slow increasing pressure and pulsation, for several cycles throughout the remaining 10 minutes of treatment. This is done to facilitate removing the blockages from the glands. *These may not represent all patient experiences. In a clinical study, 32% of patients reported no discomfort and 48% of patients noted awareness of pressure without pain during LipiFlow treatment. In fact, the average discomfort/pain score during treatment on a scale of 1-10 was 1.4 ± 1.4. Moderate discomfort was reported in 17% of patients and moderate pain was reported in 3% of patients during treatment. In all cases, the discomfort resolved soon after treatment. If you should experience discomfort during LipiFlow treatment, your doctor can reduce the pressure level or pause the procedure to make you more comfortable. 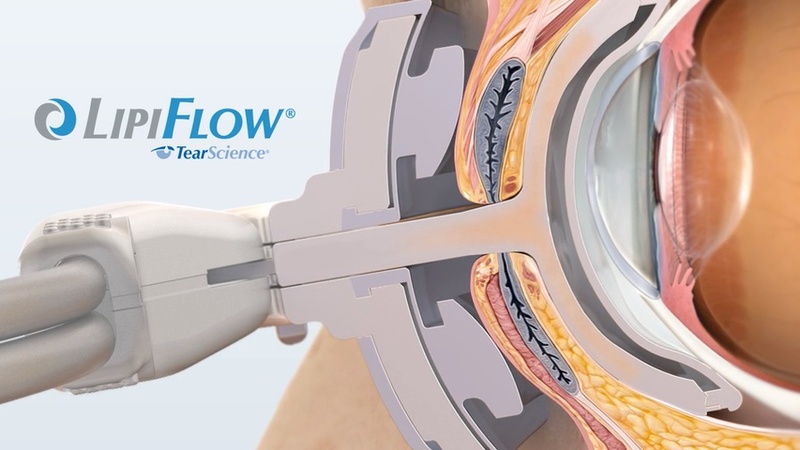 LipiFlow Indications for Use: The LipiFlow System is used by your doctor for the application of localized heat and pressure therapy in adult patients with chronic cystic conditions of the eyelids, including meibomian gland dysfunction (MGD), also known as evaporative dry eye or lipid deficiency dry eye. 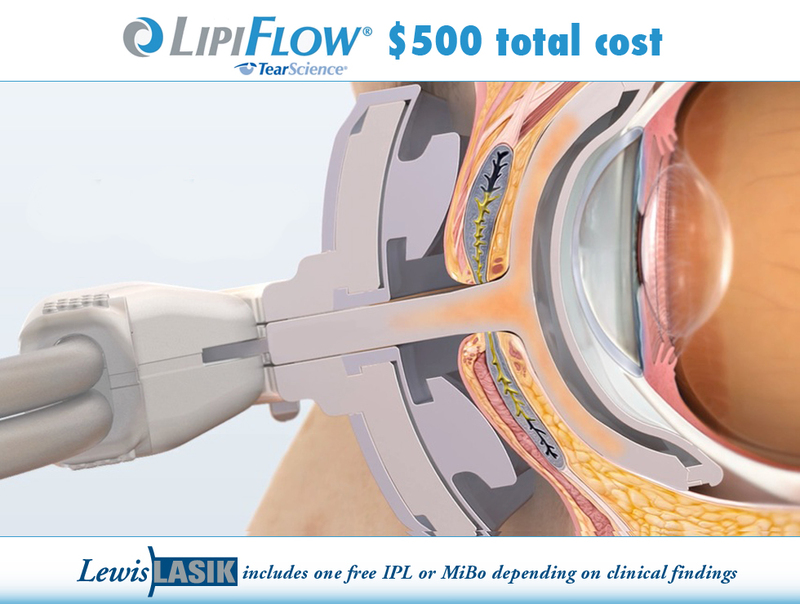 The LipiFlow System is a prescription device. Federal law restricts the device to sale by or on the order of a licensed doctor. LipiFlow Contraindications: You are not a candidate for LipiFlow if you have experienced any of the following conditions within the last 3 months: eye surgery; eye injury; Herpes of the eye or eyelid; or history of chronic eye inflammation. You are also not a candidate if you have an active eye infection, eye inflammation, eyelid irregularity or eye surface irregularity. LipiFlow Precautions: Tell your doctor if you have a history of eye allergies, eyelid inflammation, systemic disease that causes dry eye, or are taking medications known to cause dryness. The device may not fit all eyes, such as small eyelid anatomy. In addition, the treatment procedure may loosen previously inserted punctal plugs, which may worsen dry eye symptoms. LipiFlow Potential Adverse Effects: Possible adverse events that may occur as a result of the treatment procedure include, but are not limited to the onset of or increase in: eyelid or eye pain requiring discontinuation of the treatment procedure; redness and/or swelling of the eyelid or eye surface; irritation of the eye surface; inflammation of the glands in the eyelid, stye in the eyelid, slight worsening of eyelid gland blockage; and eye symptoms of dryness, redness, burning sensation, stinging, tearing, itching, discharge, foreign body or sticky sensation, eye fatigue, hazy or blurred vision, and sensitivity to light. Potential serious adverse events that are not anticipated because the device is designed to prevent occurrence include: thermal injury of the eye or eyelid; physical pressure-induced injury to the eyelid; and eye surface infection.